I love that you were able to do that. I might need to get a set like that. I did travel for two weeks with just a small suitcase – I would say carryon size (we were driving with four in a car and I had the smallest amount of luggage). I prefer to not take too much even though there have been times I missed things I should have brought. Thanks for the link to the place you bought yours. Isn’t packing light the best? We went to Europe for a month last summer, and ever since (and ever af ter) we will only use a carry on. We even managed to do carry-on only to the Disney NCTE convention. I shipped two boxes of books back to my school, and it STILL cost less than checking one single bag. Plus there’s nothing better than being able to skip the wait at the luggage carousel! 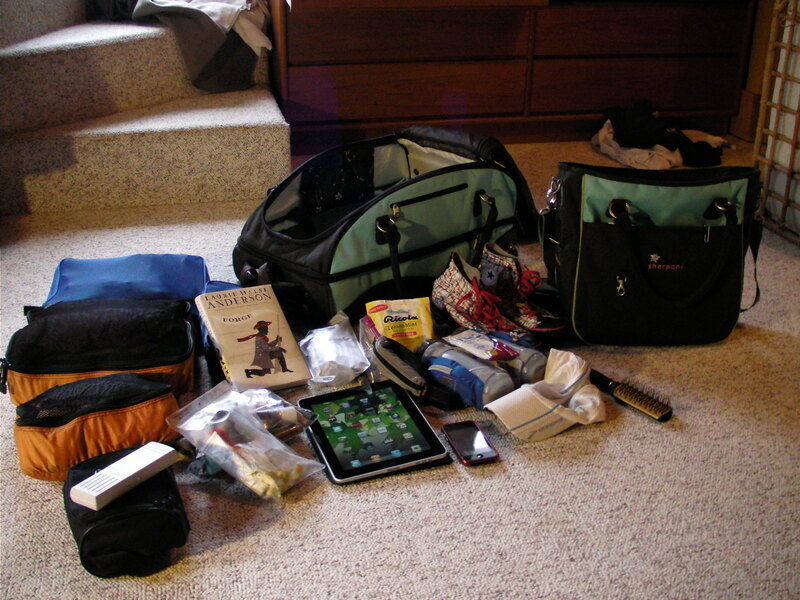 I have thought about that picture since you first posted it and it has become my goal to pack lightly wherever I go. Thanks for the inspiration. Impressive! A friend once showed me how to roll all of my clothes and pack that way to keep them wrinkle free and save space. It really worked! Laurie, I’m also a light packer and appreciate these tips. Do you have any favorite venues for buying your Dri-Fit gear? Next PostNext Need a last minute gift? Or some snow?